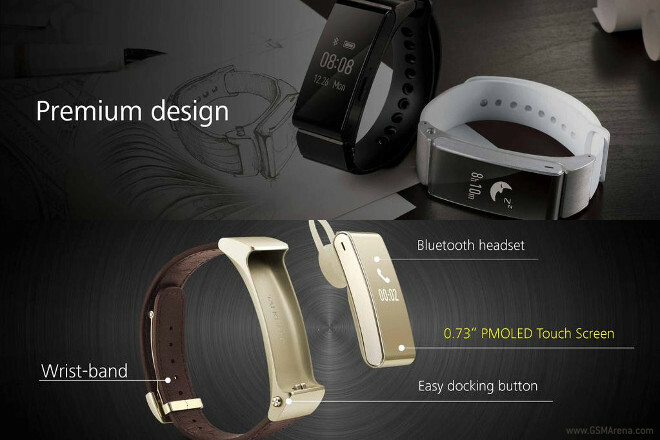 On the other hand, the TalkBand N1 is a Bluetooth headset and music player apparently aimed at the fitness market. The TalkBand B2 has a 0.73″ PMOLED touchscreen, and as you can see the Bluetooth headset part of it neatly docks into the wrist strap using a dedicated button. You get a 90 mAh battery, apparently good enough for “5 days working time”, 6 hours of talk time, and 12 days of standby time. It has a six-axis motion sensor, Bluetooth 4.1, and waterproof Micro USB charging. Its dimensions are 62 x 20.6 x 11.5 mm. The earpiece part weighs 9.4g, and the band comes in at 16.8g, for a total of 26.2g. It will have leather and TPU strap options. 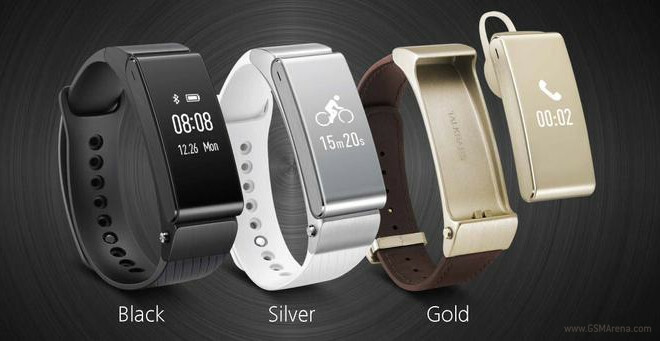 The TalkBand B2 will be offered in three colors – black, silver, and gold. The standard version will retail for €169, while the premium one will go for €199. The standard version seems to refer to either silver or black color options with a TPU strap, while the premium variation is implied to pair the gold device with a brown leather strap. Moving on, the company’s TalkBand N1 (seen above) comes with some basic fitness tracking, and it boasts 4GB of storage on which you can put your favorite tracks. It will give you audible notifications, for example of the number of steps you’ve taken. Its battery will last for seven hours of music playback, but just 4.5 hours of talk time. It’s IP54 water and dust resistant, which means it will be able to take in some sweat when you’re working out while wearing it. 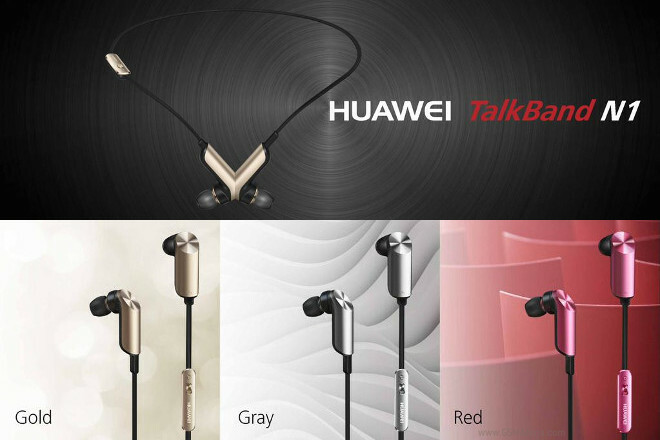 The TalkBand N1 will be available in gold, grey, and red, and will retail for €119.